I just adore Tori Amos! This deserves to be seen again and again until people get the f**king message! This deserves to be seen again and again until people get the f**king message. – Misc – quickmeme. Posted in Feminism / Equal Rights | Comments Off on This deserves to be seen again and again until people get the f**king message! I think Carl at Stainless Steel Droppings asks a very valid question here. 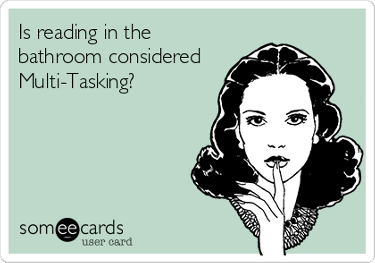 The same goes for doing sudoku in the bathroom. Well, definitely not one found on After Ellen today. You should think the over 40 would be right, as I am over 40. But, we don’t all turn into identical twins when we turn 40. I’m no less boring than the over 40 stereotype, but I’d never watch football. And the idea of W being interested in men is just too far-fetched to even consider. By Night: Hanging out with W, M&M, friends and family.